Prince Harry and the families will pause and remember a very dark moment in which so many innocent tourists lost their lives. The Duke of Cambridge went on the official Kensington Palace Twitter account to speak of his pride in the team. The newest addition to the royal family was born on Monday, weighing 9lb 3oz. 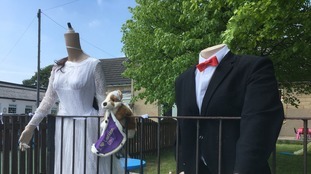 Puppets of the royal couple have been vandalised. The ages of Prince Harry and Meghan Markle and how they met are among the most popular searches on Google. 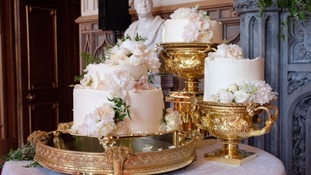 The 600 guests at the royal wedding were invited to a reception, hosted by the Queen, where they enjoyed canapés and the wedding cake. The couple wed in St George’s Chapel, Windsor Castle. The prince and the former actress have become the Duke and Duchess of Sussex, following their wedding ceremony at Windsor Castle. Idris Elba and Oprah Winfrey were among the first to arrive. White garden roses, peonies and foxgloves fill the church as branches of beech, birch and hornbeam also feature in the arrangements.